The MacBook, MacBook Pro and MacBook Air notebooks are incredible pieces of engineering. state storage, they're great for computing on the mo ve. But what do you get for your money? All current Apple notebooks feature a built-in 720p FaceTime HD webcam, except for the MacBook, which has a 480p camera. Powerful sensors give accurate colours and reduced noise, even when the light is poor. Automatic face detection adjusts the exposure to match your flesh tones too. distances. The MacBook Airs' screen s aren't Retina, but they're stili very high resolution. There's no need for you to take a separate memory card reader out and about with you. The MacBook Pro and 13-inch MacBook Air have built-in slots for high-capacity SD cards for transferring photos and videos from your camera. The SDXC Card Reader is not available on the MacBook or ll-inch MacBook Air. If you want to connect your MacBook Pro to an external display or television, there's a HDMI port. lt's great if you want to watch movies stored on your notebook on your HDTV, or for cpnnecting it to a monitor when at home.lt's great for showing Keynote presentations on a projector too. 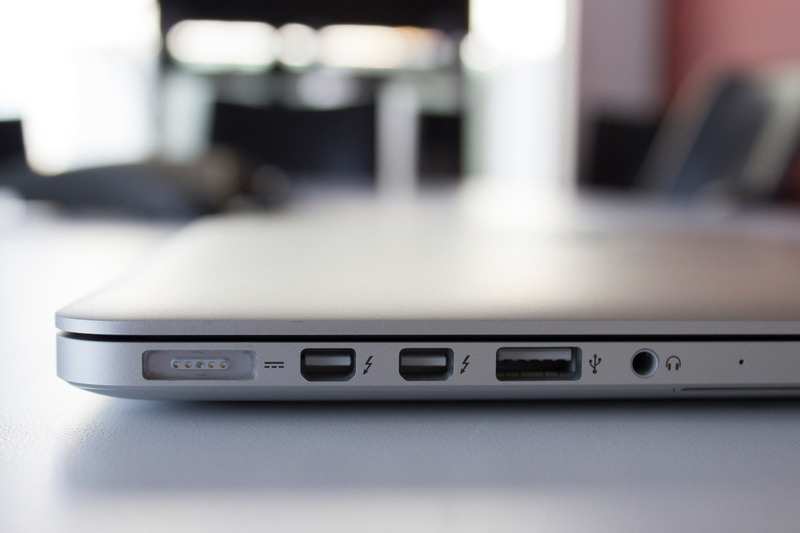 All current MacBook Pros and MacBook Airs have a high-speed USB 3.0 port on each side. They're perfect for connecting peripherals such as a printer, external hard drive or a charging cable for your iOS device. They're backwards-compatible with the slower USB 2.0 protocol too. The MacBook Pro and MacBook Air charging cable connects to the notebook through a MagSafe magnetic plug.lt's held fast when in use, but if someone trips over the cable, it pulls free without damaging your MacBook.lt's a great idea, and has saved manyan Apple notebook over the years. 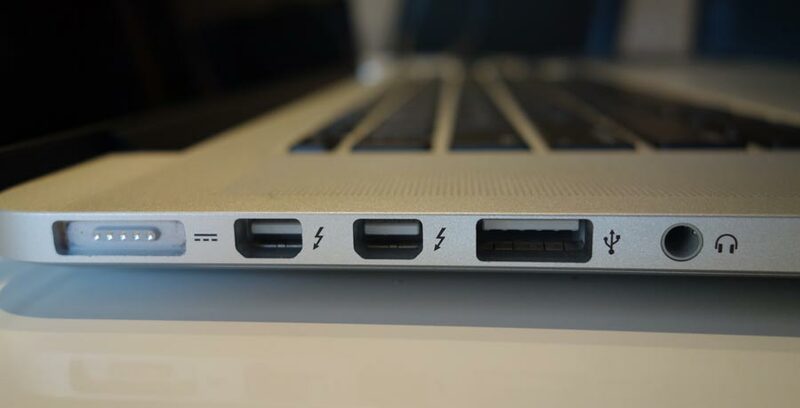 Both sizes of MacBook Air have a single high-speed Thunderbolt 2 port, while the two MacBook Pros have two. Thunderbolt 2 provides up to 20 Gbps of bandwidth, and you can plug a Mini DisplayPort monitor straight in, with no adapters. You can also daisy-chain Thunderbolt peripherals. headphones. The Apple notebooks also offer dual mics, shaping the sound and reducing background noise. They're perfect for FaceTime calls, and also for dictation.